As a $1B+ company with product offerings and technical expertise that spans enterprises, Industrial applications, and IT, Panduit has the ability to address the complex and often interconnected digital and physical infrastructure needs of the manufacturing plant. The company is divided into five business units that each provides different products or services to separate audiences. To support its IoT application offerings and significantly expand its ability to solve complex manufacturing challenges, Panduit acquired IntraVUE, technology that would enable better networks for Panduit customers. Intravue, and specifically its ties to internet of things (IoT) technology, reinforced Panduit’s work on physical infrastructure of the production floor and prevention of M@M communications downtime. In addition to the acquisition, Panduit was developing the HD Fiber Flex Cabling System – an innovative, high-density enclosure platform that would target enterprise-level data centers. Panduit was poised to be the go-to technology vendor for production engineers, system integrators, and industrial automation distributors – but the company needed integrated marketing efforts to communicate their abilities to the market. The momentum behind IoT continues to grow, and with it, Panduit saw the opportunity to tell their unique story – one that serves customers with solutions that range from OEM connectivity products to entire enterprise networks and data centers – and gain market share. Given TREW's expertise marketing to the industrial automation and IT markets; ability to connect business units with common messages and related initiatives; and experience developing successful marketing campaigns at the corporate, business unit, and product level, the marketing agency was a natural fit for Panduit. To accomplish and communicate a cohesive story, TREW and Panduit worked to refresh and deploy brand messaging at the corporate level, and then applied that messaging to business units, ultimately creating specific business messages that carried the corporate tone and common thread of "Infrastructure for a Connected World” while identifying the unique strengths and differentiators of each business. 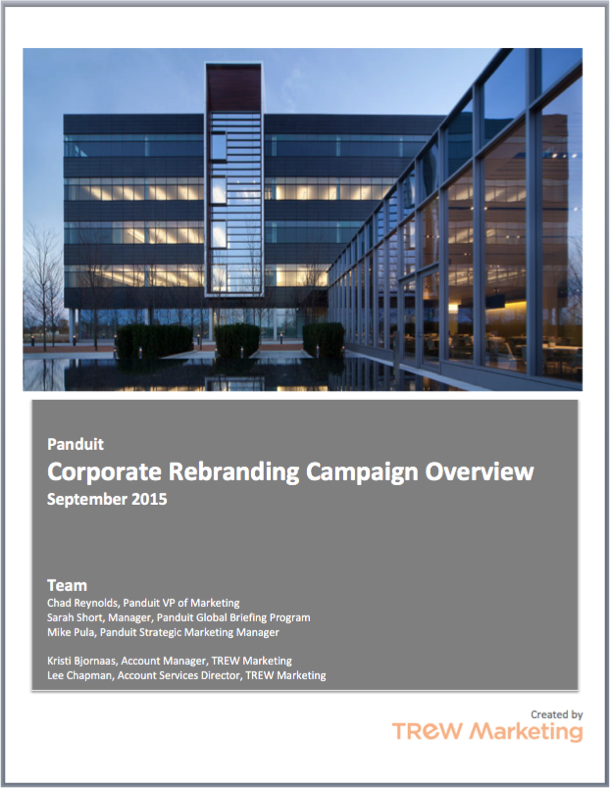 The team then constructed a thoughtful corporate marketing plan that would compel the industry with Panduit’s cohesive position, foster greater collaboration between business units, and cross-promote selling opportunities by tying activities to specific, related business unit-level campaign initiatives. To fully capitalize on the IntraVUE acquisition, TREW and Panduit invested time and resources to develop personas and truly understand the audience for the new, IoT-related solutions. The team developed an activity plan and lead conversion process to generate and nurture demand for IntraVUE in the short-term, and ultimately shift perception and grow awareness of Panudit in the industrial automation space. The activity plan included a stream of consistent, messaged content and other resources for prospective customers. 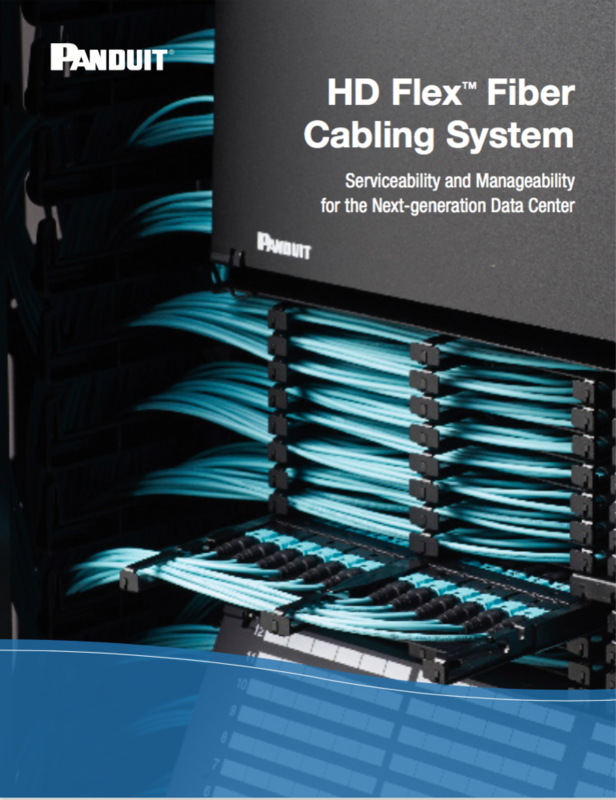 For the HD Flex product launch, the Data Center business needed a comprehensive marketing strategy that extended beyond the typical trade show opportunity, and spanned both traditional and online channels. It would be built around clear, differentiated messaging that would position Panduit to compete with well-known suppliers. TREW and Panduit worked together to prioritize product benefits and identify target personas for the launch, then develop a content marketing plan that mapped specific pieces of content to each target persona. In addition, they developed new collateral including an infographic, a series of videos, and print collateral, all timed around a key industry trade show. The content and collateral pieces were tied to a new key landing page, which became the call-to-action for launch materials so that prospects could learn more about the product. In addition, TREW also developed a plan for public relations and SEO that would leverage key journalists and social media channels for promotion. The corporate rebranding project resulted in cohesive messages for Panduit that could be used to align teams internally and share a consistent message externally. In addition, by meeting with business unit leaders and developing business unit messaging as an outflow of the corporate messaging, each business had internal and external messages to use that tied them to the strong corporate brand, while also communicating their unique differentiators in the market. The business unit messages also allowed Panduit to take their corporate message to the individual and very different audiences of each business unit.